The Vale of Callus is a lush green valley with rolling hills and game laden forests, bisected to the northeast and southwest by the river Tempest . It is not however without its problems. There is no way known way out of the Vale. 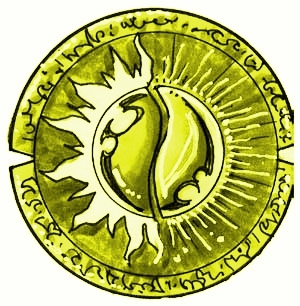 People arrive in the Vale from the outside world, appearing in a bright green flash. There are rumours that some are able to escape from the Vale, but they either will not share their knowledge or turn out to be frauds. On all sides the vale is surrounded by a thick green mist that is seemingly immune to magic's both arcane and divine, and goes on for as long a person can travel by foot for a day (people entering the mist and traveling away from the vale re-enter it, appearing from the mists at a random location on the edge of the Vale after this time. People traveling together do not necessarily re-enter the vale in the same location as their companions). Unfortunately people are not the only things that appear in bright green flashes: objects as well as other creatures both fair and foul also arrive in this fashion. It is up to those that arrive in the Vale to survive as best they can. Is there a way to escape the Vale and if so can others also exit the Vale in a similar manner. Ark Torce: (pop 10,000+) Ark Torce is the tree city through which the River Tempest runs. It is home to most of the elves and eldarin who find themselves in the Vale (though definitely not all of them). Many other fey creatures also reside in this city which is surrounded on all sides by lush forest. Trem: (pop 30,000+) Here there are virtually no racial boundaries with races of all kinds finding a home within Trem's walls. Wateridge: (pop 10,000+) The southern most city within the Vale and the powerbase of the Lady Tiamat's soldiers. For centuries those who have found themselves trapped within the Vale of Callus have sought a means to escape, and for centuries they have failed. Even the Lady Tiamat who currently rules over the Vale is unable to escape. The followers of Callus believe that the Vale is a testing ground upon which Callus seeks those who can aid in his never ending battle against the demon and devil hordes. Others believe it is the mist itself that has brought the inhabitants of the vale here for some unknown purpose. Whatever the reason, there is no escape, those entering the mist are able to travel for a day at most before they re-emerge back thorough the mist at some random point within the vale. Currently Lady Tiamat and her minions rule the Vale. Though rarely seen herself, Lady Tiamat's minions are in every town and each of the five factions rules over one of the major cities in the Vale. 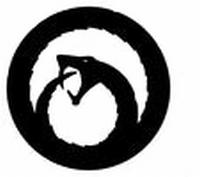 Black faction: Also known as the Dark Talon. This faction consists primarily of thieves, rogues, assassin, spies and other similar types. They are the seekers of plots against Lady Tiamat and seek to infiltrate resistance groups such as the Knights of Valor, Shield Bearers of Mourning and the church of Callus, but will also take action against anyone that they think is seeking to undermine the power base of Lady Tiamat. White Faction: Also known as the Puritan Wing. Members of this faction are the administrators and buearocracy of Lady Grolozaris' empire, They can be any class but more often than not are simple NPC's. They look after all of her lady's paperwork and the day to day running of her empire. 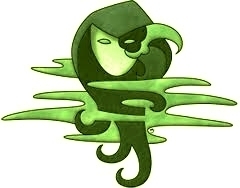 Green Faction: Also known as the Emerald Maw. Members of this faction are generally divine magic casters and are said to obtain their powers directly from Lady Tiamat herself. They are her priests/ess' and organise/undertake the religious tasks for those who worship Lady Tiamat. As part of their duties they practice ritual sacrifices and act as judges to enforce Lady Tiamat rule. Red Faction: Also known as the Blood Thanes. Members of this faction are usually arcane spell casters and are tasked with finding a way for Lady Tiamat to penetrate the mist surrounding the Vale and allowing her to leave. They are a law unto themselves are able to do virtually anything they please as long as it helps the ultimate goal of the faction. Sometimes this means that its members will be actively opposed to each others goals. Blue Faction: Also known as the Sapphire Guard. 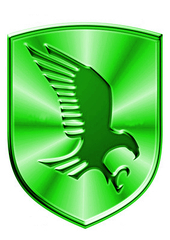 Members of this factions are soldiers, warriors and those more commonly linked with martial skills. 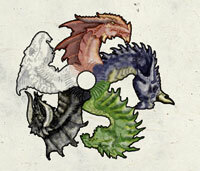 They are the most numerous in numbers of any of the factions and are the law enforcers for Lady Tiamat empire. Due to the nature of the Vale and the mixture of its inhabitants there are a very wide number of different religions found (PC's can follow any deity they choose). However there are also several religious orders unique to the Vale. 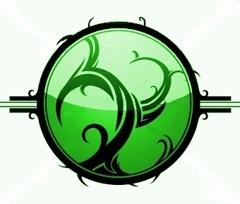 Also known as "The Order", this group seeks to prevent people from actually leaving the Vale as they believe that the worlds beyond are slowly being destroyed and only those that are protected by the mists shall survive. They see themselves as protectors, saving those who wish to leave from a certain death in the chaos beyond. Rumours abound that the higher ranked members of the Order are able to penetrate the mist boundary of the Vale and travel to the various other planes of existence beyond and bring (save) people by bringing them into the Vale. 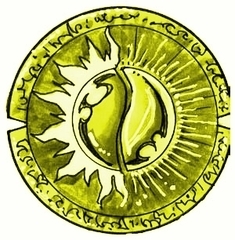 It is believed that this ability is the reason that Lady Grolozaris allows them to openly practice, as she seeks to gather favour from them, and eventually obtain this secret for herself. • Learn all they can about the mist. • Prevent people from leaving the Vale and acquire/destroy any knowledge about leaving the Vale through any means necessary. • Bring those worthy into the safety of the Vale. • Protect the wilderness of the Vale from unnecessary destruction. • Maintain balance in the natural world of the Vale. • Train their hearts and bodies. • Look up to wisdom and strength and cultivate a spirit of self denial. • Respect their superiors and refrain from violence unless necessary. The Serpent of the Night (a.k.a. the Serpent) seeks chaos for no reason other than to see how other react. All others are to be used for his pleasure and to serve his needs. Those that stand in the way of his pleasure are to be removed without a second thought. His followers are known to be assassins, spies and thieves and have numerous undead and werebeasts as followers. They are seeking a way out of the mist by using any means necessary, including sacrificing people in magical rituals, and as such are direct rivals to the Order of the Mist. • Act upon their desires. • Slay those who stand in their way. • Seek to escape the Vale. The being after whom the Vale is named. Little is actually known about this enigmatic god, though his followers believe that he has brought them here to practice their skills before he returns them to the world at large to fight evil. The Vale is his "testing" ground where he can find the best for the future battles. • Improve themselves on a daily basis, mentally, physically, spiritually or magically. • Fight against those who seek to harm, enslave or abuse others. • Interfere with the plans of Lady Grolozaris and her followers whenever possible. After losing her beloved in an ancient battle of the gods the Shield Bearer now seeks to aid all those in suffer as a result of the conflict of others. She is a protector of life, knowledge and the arts, but also a sympathizer of those who have lost as a result of conflict. • Seek to aid newcomers to the Vale as best they can. • Offer compassion to those who has suffered the loss of a loved one. • Stand vigil and reside over the rites of the recently departed. 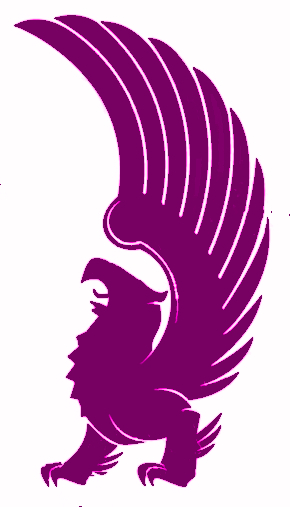 • Upon request of their superiors stand vigil at one of the Vales more common entry points to help any newcomers and thwart the followers of the Lady if they seek to do harm to the entrant. Lady Tiamat is the personification of evil itself and the arch enemy of Callus. She rules over the Vale primarily through her followers and even though she is rarely seen herself, her presence in the Vale is most assuredly felt. She has thought for no one other than herself and uses others to help her own selfish ends. She activly seeks to leave the Vale and will use any means necessary to achieve this goal, In the meantime she uses the populace of the Vale as slaves, tithes them heavily and thinks nothing of killing them for no reason at all. • Enforce the wishes of the Lady whatever they may be. • Obtain means of exiting the Vale. • Suppress and destroy those forces who actively seek to interfere with the Lady's desires.